Oh my goodness, mom and I start the trail in 3 weeks!!!!! With that being said it is time to start upping our water intake. On dry spots on the trail when you get to a water source you’ camel up’. This means that you clean your water then drink as much as possible then clean more to take with you. Doing this means you stay hydrated longer, you don’t have to dip into your water stash until later in your day. With that little background now stated we can talk about why mom and I need to start drinking more water before we even start the trail. Most people are never fully hydrated, we get some water fro, the coffee we drink and soda etc. But still most of us don’t get the full amount of water our bodies need to function at their optimal level. Something that will help us in the desert is to be fully hydrated when we start. Today is March 16. This week’s goal will be to drink 1 liter of water every day…..that is not including any coffee or other beverages, just pure water. 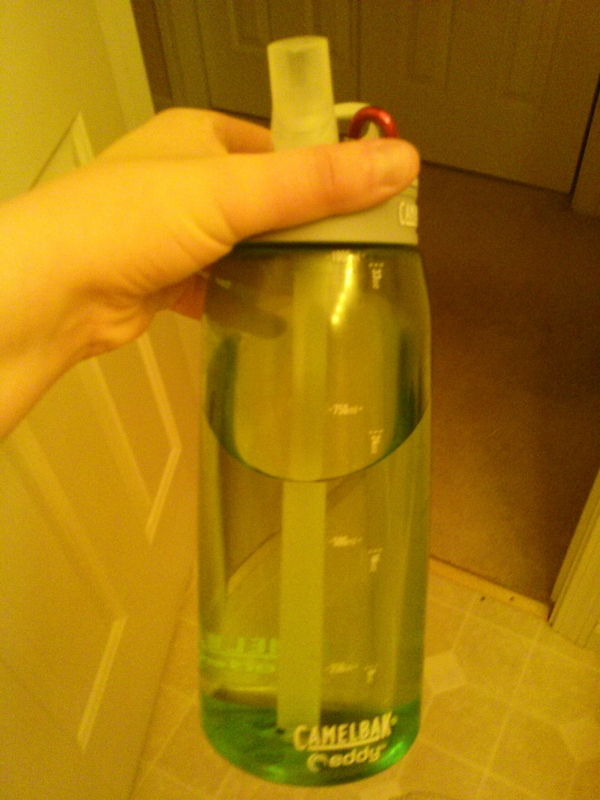 My camelbak is one liter. That is 32oz or 4 full glasses of water. For the 2 weeks before the trail the goal will be double that, so 2 litters of water a day. That will get us to full hydration. …….at least according to science lol. Hahahaha! Ill check it out! Ever since I trained myself to drink most of my water in the morning right when I wake up, I don’t have to carry a water bottle around with me all the time because I started the day hydrated. This article advocates drinking 1.5 L in the morning … I worked my way to about a pint. Start slowly with one glass, and then 2… Love you! wow i dont know if i could drink the entire 1.5L in the morning lol, but a glass or two i can definitely do!